Selling your home could be expensive and complex. If you go through regular channels, real estate agents will surely charge a large amount as commission for a single sale. But while offering cash for houses in McKinney, TX, we take the stress out of the deal. Our company specializes in buying houses McKinney, Texas. However, please don’t confuse us with referral networks – the concept of paying cash for houses is totally different. We are local real estate investors who have created the most effective way to help homeowners sell their houses quickly, at a fair price for cash. Even if your home needs extensive repairs, we buy it “as is”, and take care of all renovations after the deal is closed and you have the money in hand. If you require a swift cash infusion, we can help you by purchasing your home in McKinney, Texas quickly with no costs and no hassle. In case you have just inherited property, but don’t know how to sell it off, we can assist there too. We make it easy to sell inherited homes, even if you live out of town. We are sympathetic to the financial predicament of those who let go of their houses out of need. Since we have the resources available to pay cash for your home in McKinney, Texas, we can give you immediate relief pertaining to any cash concerns you might have. Our job is to work closely with homeowners to provide cash buyouts for their houses. So if you wish to sell your house fast in McKinney, TX, we can offer a fair cash offer on your McKinney, TX home. 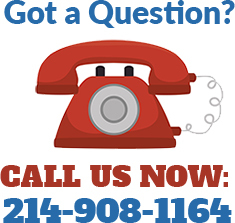 Please get in touch with us at (214) 908-1164. Alternatively, you can shoot us an email as well.